Stripes are timeless and so versatile to design around. Stripes go with everything! 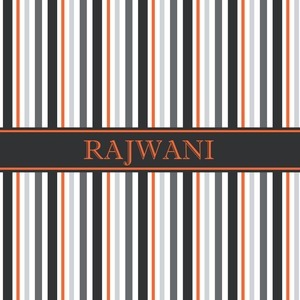 We have taken this pattern to another level with our use of varying shades of gray, black, and a pop of orange. This color scheme is to die for and so easy to decorate with. A wide band of black with a orange trim pulls the design together. This band adds a modern touch and provides the focal point for personalization of your choice.